Recent debates in economic development emphasize the importance of economic freedom and inclusive growth, particularly in developing countries. 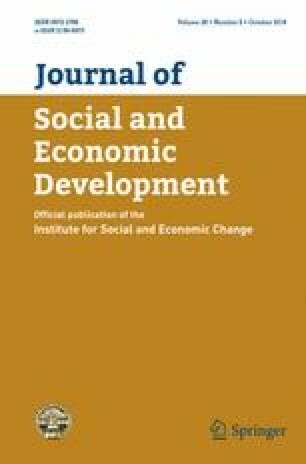 The aim of this study is to analyze the relationship between economic freedom and inclusive growth in thirty sub-Saharan African countries during the period 1996–2016. We use, for that purpose, the system GMM estimation and a panel causality test in a dynamic framework. Inclusive growth is measured by the GDP per person employed in Purchasing Power Parity, and the Heritage Foundation Economic Freedom Index is used to measure economic freedom. After taking into account cross-sectional dependence, the results suggest a positive and significant effect of the level of economic freedom and of the changes in the level of economic freedom on inclusive growth. Evidence is provided for a causal relationship from economic freedom to inclusive growth but not the other way. I would like to thank two excellent referees for their helpful comments and suggestions that substantially improved the paper. I am deeply grateful to Hailu Mekonnen for constructive criticism of the paper. I also benefitted from discussions and suggestions with Firmin Ayivodji, Yaya Bamba and Sulpice Amonle. The usual disclaimer applies and the views expressed in this paper are my sole responsibility.